Turning crumble into vape juice is a super easy process using Wax Liquidizer. The fact is it is as close to idiot-proof as you can get… lol. Let’s get straight to the matter by checking out this video. You can also watch this video How to Turn Crumble into E Juice on Vimeo. The world of marijuana concentrates is new to many people so let’s take a moment and define what crumble wax is. Crumble wax is a cannabis concentrate made with a procedure very similar to those that create both shatter and budder. However, the purged oils used in crumble usually have more moisture. This is done by using a different temperature that provides a thicker consistency. This is what helps create the wax’s crumbling consistency or cheese type body after the purging process. A very popular process to make wax into crumble is by purging it for a longer time at lower heat. This preserves more terpenes and makes for a smoother tasting concentrate. The next question is why would you want to vape marijuana concentrate? Vaping concentrates has many advantages over smoking them. One reason concentrates are popular is they allow you to get more of what you want and less of what you don’t want. Thus more concentrated THC with less tar and carcinogens from the raw plant. The fact you can turn concentrates into e liquid is another huge plus for concentrates. Vaping provides a lower controlled temperature which maximizes the efficiency in obtaining the most THC while atomizing the content or vaporizing it. This process also helps eliminate tars and carcinogens in the consumption of the marijuana concentrate. One of the reasons people also love to turn crumble into e juice and vape it is because it has an odorless smell. This allows for discreet consumption of the marijuana concentrate. Marijuana concentrates have become more popular due to these characteristics mentioned above. You can find many of the concentrates listed below in both medical and recreation marijuana dispensaries. Wax Liquidizer works great to turn concentrates to e liquid. The proprietary blend used in our liquidizer not only makes it fast and easy. It also provides and end product or vape oil that does not separate. Using the highest quality ingredients in our liquidizer to achieve the perfect blend for liquidizing concentrates is not where we stop. Flavor and taste are an essential part of any vaping experience. 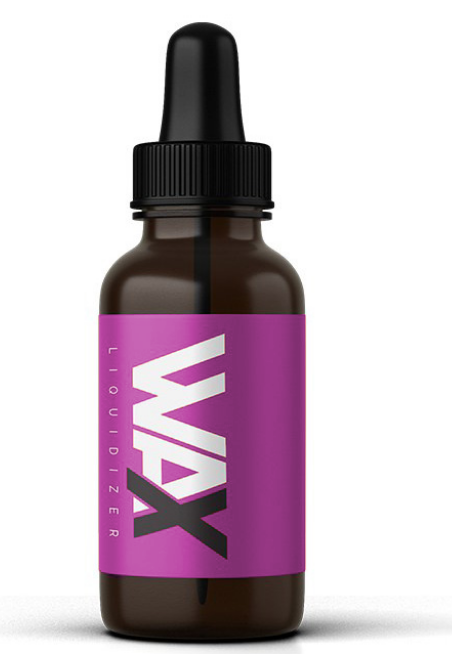 Wax Liquidizer offers six great smooth tasting flavors. The combination of these great flavors, the proprietary blend of our liquidizer and the simplicity of the product earned Wax Liquidizer the 420 Product of the Year Award in 2016. Make sure and check out our 6 Tasty flavors that come in a wide array of volumes. Picking out the flavor for your new venture into vaping crumble wax may be the hardest decision you have to make. That’s OK… if you can’t decide Wax Liquidizer offers a sampler pack complete with the e-juice mixing kit at a great price. Wax liquidizer offers you the benefits found in marijuana concentrates and vaping and adds a great smooth tasting flavor. All this done using methods that are super fast and easy! Grab some Wax Liquidizer and start enjoying vaping your cannabis concentrate discreetly in the tastiest manner!